My Wool Mitten at Serenity Farms ~ a small sheep farm in the middle of the mitten: A Time To Knit Mittens! A Time To Knit Mittens! I've decided that 2017 should be "The Year of the Mitten" and so I'm hosting an informal knit-a-long over on the farm blog, you can read more about it here. Please join in if you'd like to! 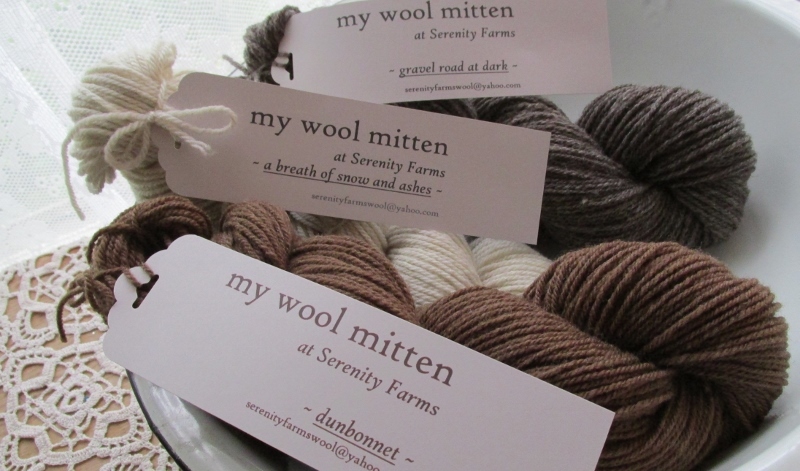 And if you need lovely natural colored Corriedale yarn from the farm for your mittens, we might just have what you're looking for! Corriedale Sheep and Wool. Farming, Faith and Family on a small farm in the middle of Michigan. Come along for a visit!